This post has expired! It was posted more than 507 days ago. Worldwide more than 100 million patients suffer from osteoarthritis, a disease which gradually deteriorates our joints. Osteoarthritis cannot be cured due to lack of effective Disease Modifying Osteoarthritic Drugs and the lack of diagnostic methods enabling the detection of the onset of disease, a time point at which intervention could still reverse the disease progress. The Department of Developmental BioEngineering of the University of Twente is leading a Dutch consortium of high profile academic groups with excellent track records in osteoarthritis research complemented with industrial partners which aims at developing urgently needed new diagnostic methods and effective treatments for osteoarthritis. This 6 years research programme is co-funded by the Dutch Arthritis Association and the Dutch government. Within this research programme, the Department of Developmental BioEngineering has an opening for a PhD student. The position is available immediately. The primary objective of the PhD-student (m/f) is to develop a lab-on-chip device for assessing the health status of the joint. The lab-on-chip device should be able to measure diagnostic and prognostic biomarkers in multiplex in small volumes of synovial fluid. These biomarkers should reliably reflect the health status of the joint. Within this project you work in close collaboration with industrial partners as well as with other consortium members who will provide input for relevant biomarkers and provide you with clinical samples for validating the lab-on-chip device. For inquiries about this position and our offer you can contact prof. dr. H.B.J. (Marcel) Karperien (h.b.j.karperien utwente.nl). Please send your application with CV, via the link below. 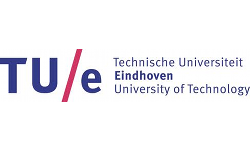 The University of Twente offers a stimulating work environment in an area of applied, forefront research. You will have a full time employment contract for the duration of 4 years and can participate in all employee benefits the UT offers. The gross monthly salary starts with € 2.222,- in the first year and increases to € 2.840,- in the fourth year of your employment. 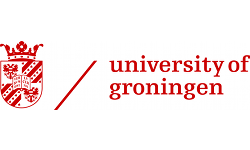 Additionally, the University of Twente provides excellent facilities for professional and personal development, a holiday allowance (amount to 8%) and an end of year bonus of 8.3%. A high-quality training programme is part of the agreement. The research has to result in a PhD thesis at the end of the employment period.